I just had the opportunity to speak with a third year medical student and get their perspective on what medicine is all about. For starters, we had been playing phone tag because the life of a third year medical student does not leave a lot of time to stay in touch with family and friends there are just so many demands on your time. My friend had just taken her boards in June and started her clinical rotations the next month in July. She has already completed on rotation and currently working in Emergency Medicine and in a few short weeks will begin her surgery clerkship. Let's just say I caught her at a good time because it was a Saturday and my friend Ann was at a local Starbucks writing up reports/charts on her patients. She stated had to get this work completed because she had a twelve hour shift in the Emergency Room on Sunday. Medicine for her means that there always is a lot of work to be done and that it never ends. Plus you are constantly being judged and pushed to be better. This not only comes in the form of having to take lots and lots of exams, but while on the rotations your knowledge is constantly being tested. One thing you have to be aware of is that medicine has a very entrenched hierarchy. 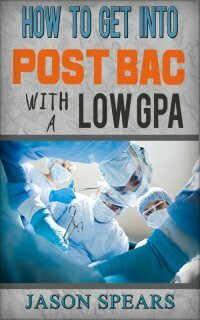 Medical students are put at the bottom of the totem pole. Above you you'll have the interns, residents, fellows and then the attending physician. This means you have a lot of physicians who are overseeing your work and who know a lot more about medicine then you currently do as a medical student. What you'll find interesting is that you'll be expected to work just as hard as the residents and interns meaning putting in lots of hours rounding on patients and doing SCUT work won't be outside of the norm. So be prepared for this when thinking about medicine. Medicine will always consume your life and will be your priority. to make lots of money you should just go to business school or choose a different career. There is prestige in being a doctor but that prestige won't be what gets you through the grueling nights and very early mornings...you have to be sure you want medicine for all of the correct reasons. 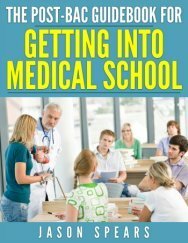 Can you have a life while in medical school? Ann says that it is possible but you still have to study all the time and put in hours with the large volume of material you're expected to know. She has stated there have been weekends where she has gotten away to visit friends or to just visit a different city. The only way this is possible is planning things out in advance and also knowing your test schedule. Because although there will be plenty of exams they aren't every week. But you have to remember when you aren't studying it means that someone else may be though. Life is all about finding the balance in everything. Another thing is that third year of medical school is rough with all of the clinical rotations. Because you are working with a new specialty and at the end of each rotation you have to take a shelf exam which is like a final test on all the things a medical student should have learned about that specialty in particular. But fourth year is when you can start to have fun. This is the time when you begin to apply to residency programs and your grades are pretty much set. Medical students use this time to do away rotations for up to three months at another medical school or teaching hospital where they are seriously considering applying for a residency. As you can tell you have plenty of freedoms and choices during your last year of medical school. You'll be seeing your own set of patients and working as though you're an intern except a resident and others above you will be legally responsible for your patients. I don't want you to be discouraged about medicine but I want you to be fully aware of what you're getting yourself into. Medical school is going to be very demanding and it lasts for four years. You will then follow this up with residency which can last anywhere from three to seven years depending on the specialty. So you are going to give at least seven years of your life just to medical training so be sure it's really what you want to do. Join in and write your own page! It's easy to do. How? Simply click here to return to Medical Student Conversations.